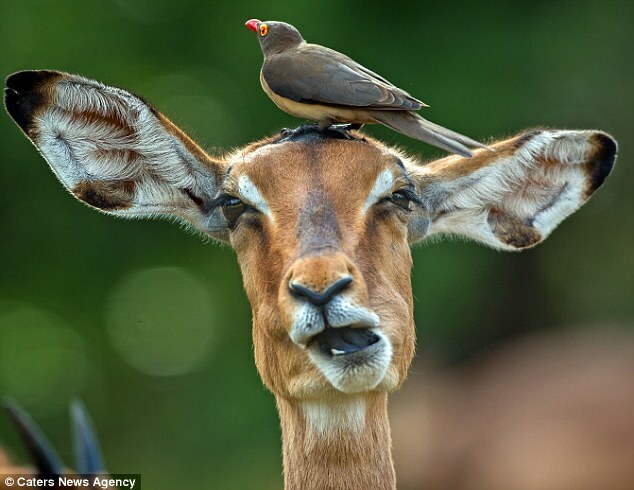 These funny snaps captured the moment when a wild impala got a head massage from an oxpecker - and pulled some seriously funny faces. 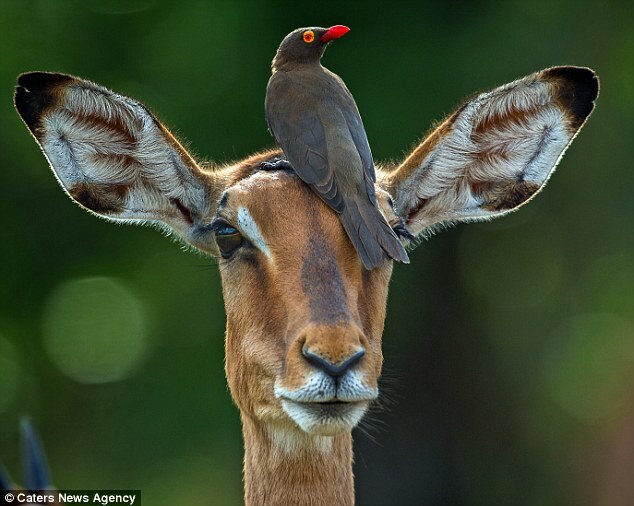 The photos, taken in South Africa's Kruger National Park, show the impala twisting and turning its as the talented oxpecker works its magic. 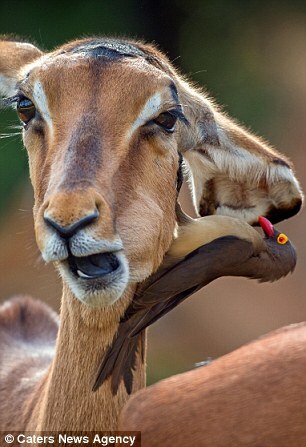 Zoologist and wildlife photographer Mogens Trolle, from Denmark, snapped the incredible moment earlier this year. 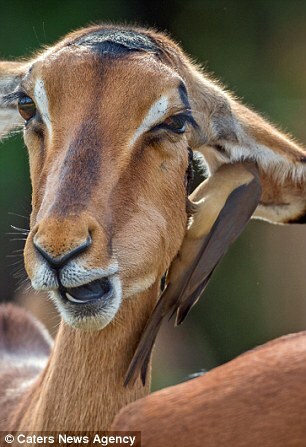 Mr Trolle, 46, and says he was amazed to see human characteristics in the impala's behaviour. 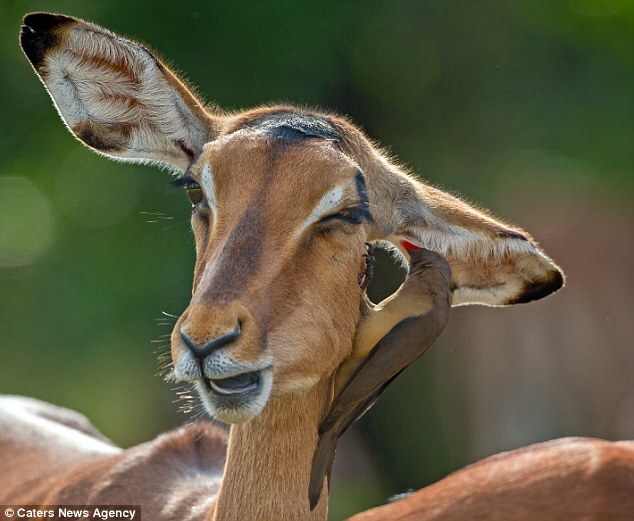 Mr Trolle said: 'It really cheered me up! 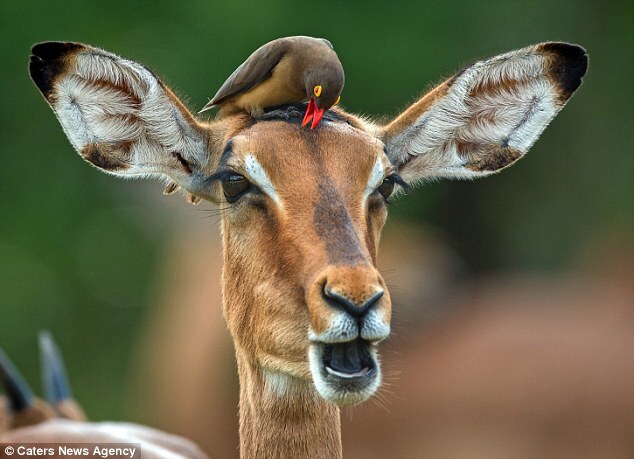 Yes, it was a hilarious moment but it was great to see animals interacting as humans do. 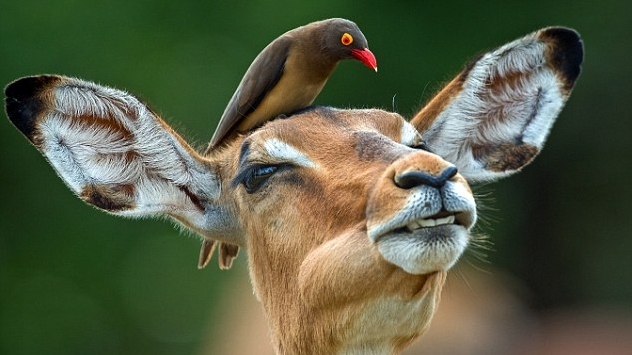 The red-billed oxpecker is a common sight on the plains of sub-Saharan Africa, where they often spend their day perched on large wild mammals. 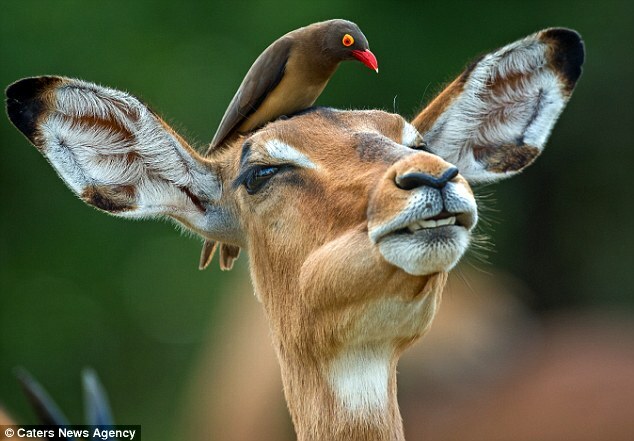 Responses to "Impala Gets A Head Massage From An Oxpecker Bird"